When I first heard about CA house, I got excited about the idea of the Multifaith Living Community. Being away from home and in a foreign country is both thrilling and difficult, but CA house made me feel that I am not alone. Their weekly activities helped me strengthen my knowledge as I got to know people of different culture, religion and belief. 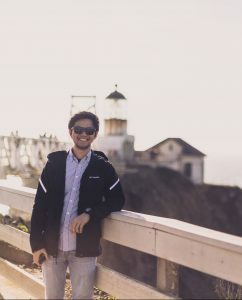 Probably the most memorable experience I had in CA house was our winter retreat in Marin Headlands wherein I got to connect with students from other houses. The experience was unforgettable. And now that I’m going back to Philippines, I will forever remember the good times I had in CA house. The MLC is just so amazing. I first moved into CA House’s Multifaith Living Community (MLC) in Fall 2015. From the very beginning, I felt at home. It was a breath of fresh air to be part of an actual community and not just a bunch of people I happen to share walls with. From welcoming student board members, to offering internships, to supporting excursions and sparking meaningful conversations, CA House has set itself apart as an amazing space for personal and collective growth. Although leaving here is bittersweet, I’m excited about all of the great things that can be accomplished with help from friends of CA House. With your support, I know CA House and the MLC will continue to be a haven for those looking for a progressive, proactive community! This was my first year at the CA House and I came in not knowing what to expect or if I’d even fit in. However, over these past three quarters the CA House has provided with me such a fun and unforgettable experience. Being from a small school and small town, that was an important for me to feel. CA House provided me with a space where I could be comfortable and feel welcomed. 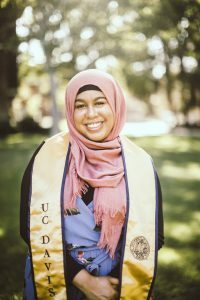 CA House naturally has this atmosphere of hospitality and community that I feel is important to UCD and Davis in general because many people feel lost or neglected in this hectic and busy college town. In the end, it’s easy to find yourself alone. However, CA House always makes you feel like you have a friend there that you can lean on when times are rough or if you’re just feeling lonely. 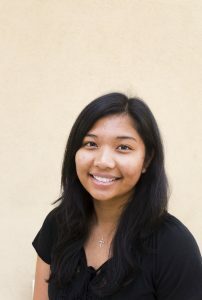 CA House played a big part in my second year of college and impacted me in ways I didn’t expect. Before I moved into the MLC, I lived out in Winters. One night I was all alone in my apartment, my housemates gone for the night, it was pouring rain and then-the power went out. Needless to say, I was freaked out and I really didn’t want to be alone in my apartment, with the power out, in the middle of a storm, at night. I tried calling some friends that lived nearby but nobody was around. So, I called up my CA House friends. A girl from House 12 drove out in the rain to come pick me up and said, “I couldn’t leave you out in that storm!” I ended up staying with the girls from House 14 that night. We had a full-on sleepover with tea, laughs, gossip, and inevitably a discussion on Christian morality in politics (only at CA House, I kid you not). Those girls I stayed with are now my housemates (House 14 Represent!) and the people at CA House and the Multifaith Living Community are some of my best friends. I love where I live and I feel lucky that the Methodist church, my home church, sponsors a place like this. A place where I can meet and live with people from all faiths, and make friends with some of the best people you will ever meet. I’ve been a part of the Multifaith Living Community for almost two years now, and have loved all of it! My favorite thing about the CA House is how students and community members always seem to find similarities and form beautiful lasting friendships across differences in religion, family background, and perspectives. We each have so much to learn from each other and through acts of service, striving to live humbly and environmentally consciously, and sharing meals and conversation together, the CA House has been helping us do just that. One of my favorite memories has been the weekly small groups, where stories and experiences were shared and heard with kindness, patience, and faithful understanding. During my 3 years here, I’ve had the honor of serving as the “Community Assistant” and “Program Intern”. 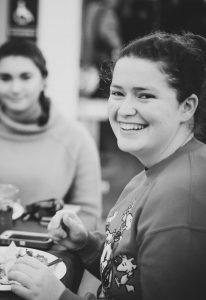 Since entering the MLC my freshman year, the Wednesday Night Dinners, Small Groups, and Monday Night Program provided me with a platform to not only express my personal beliefs without fear of discrimination, but also as an outlet to relate to my peers through shared ethics. The MLC community has consistently embodied living scripture in ways I hadn’t imagined in the past, such as composting—a practical and relatively straightforward practice that fosters principles of waste reduction in one’s life. 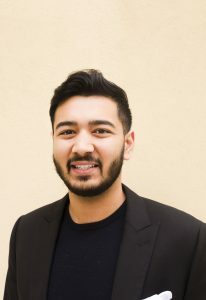 Through the MLC’s Wednesday Night Programs in which interfaith and social justice organizations are featured, I’ve managed to build a social network with various activists, cultural/religious student groups, and religious centers in Davis that I hope to collaborate with and give back to in the near future. Ultimately the MLC has been central in cultivating my personal wellness, spiritual growth, and life long friendships, and for that I am forever grateful. My conviction in the verse ‘surely those who believe [Muslims] and those who are Jews… and the Christians, whoever…does good-they shall have no fear, nor shall they grieve’[2.62] has been strengthened. It is through your generosity that we are able to sustain our organization. Consider making a contribution!